Every time I find a coin somewhere, I pick it up thinking “It’s a sign I’m on the right path”. I’m not sure I truly believe it, but it’s always a reassuring thought at the time. 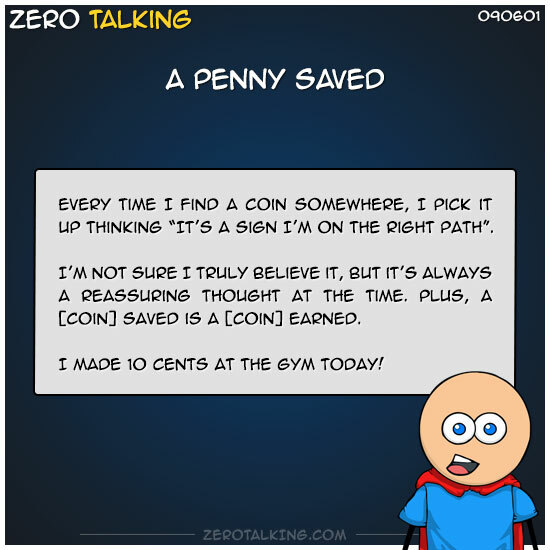 Plus, a [coin] saved is a [coin] earned. I made 10 cents at the gym today!